Mia (Bea's character): Alam mo, kapag tinitingnan ko yung Petronas, na-i-imagine ko na para silang magka-holding hands. Minsan nga, nai-imagine ko nag-uusap yung dalawa, eh. Allan (JL's character): Ano sabi nung isa? Mia: Masaya ako pag kasama kita..
Allan: Ako din.. sabi nung isang tower! Yes. Kilig!! I'm a hopeless romantic. Hihi. 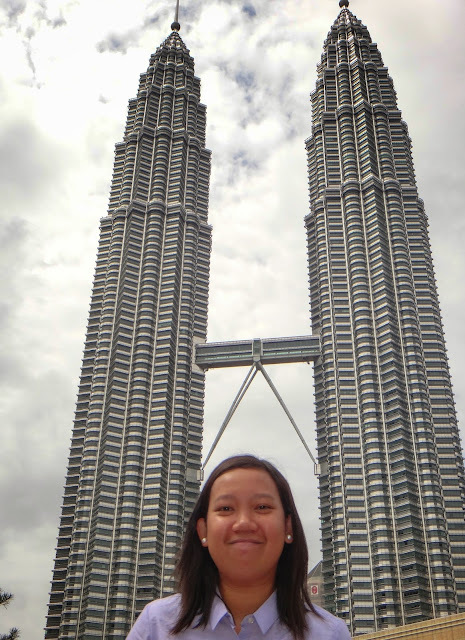 On my recent trip to Kuala Lumpur, it was kinda funny that I only get to see the Petronas Twin Towers on my 4th day. Intense. We went to the Suria KLCC after our lunch and attempted a photograph with the twin towers. 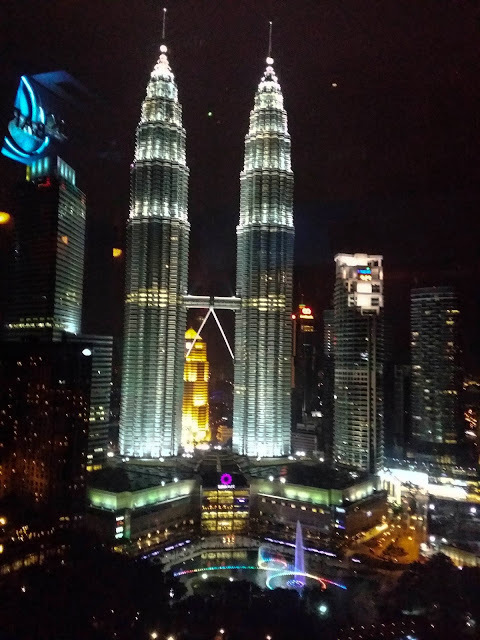 After a couple of shots, we decided to continue our Kuala Lumpur tour. 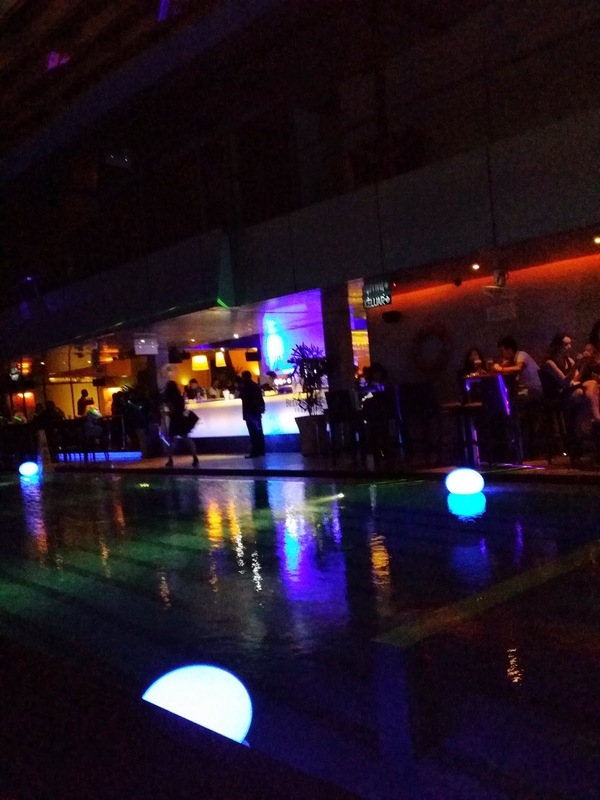 After going through the city, we planned to go to the SkyBar at the L33rd of the Traders Hotel. 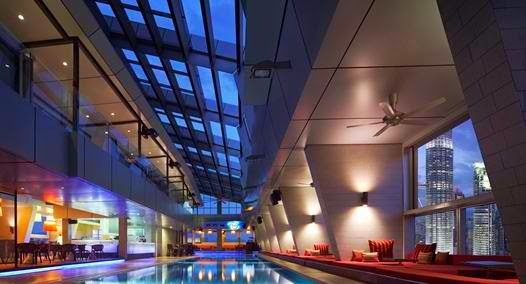 It offers a wonderful view of the Twin Towers! I asked Karen if we could have another go on the Petronas at Suria, before we headed to the SkyBar. I wanted night shots of the Twin Towers. We proceeded to the SkyBar and ordered a bottle of wine and a bucket of jalapenos and chicken fingers. Hihi. 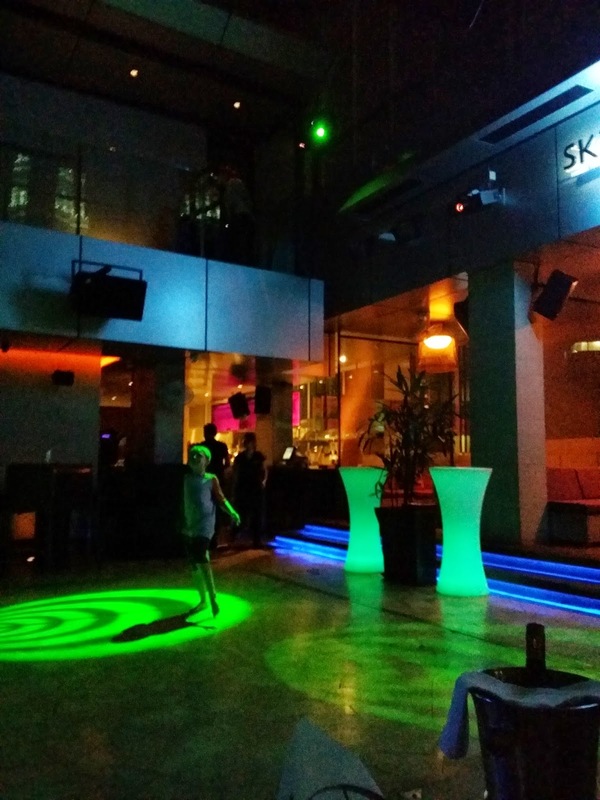 I am not a party person, but I must admit that the place screams fab!